County Committee Meeting - 2nd Tuesday each month. The FSA County Committee met on Wednesday, January 18th for the yearly Organizational Meeting. A Chairperson, Vice- Chairperson and Regular Member are named at the meeting along with other items of business. Destiny (Duff) Haase, - will serve as County Committee Chairperson and Minority Advisor for the Committee. Sean Harkness - will serve as Vice-Chairperson. Michael Zimmerman - will serve as Regular Member. Michael is the newest member to the Committee, as he was elected in December to represent producers in LAA 3 (County Rd 27 -west to county line). He replaces Jeff Salisbury who served for 9 consecutive years. The Committee set the 2nd Tuesday of each month as the monthly meeting date. Due to workload and staffing shortage there will not be a monthly Farm Loan employee presence in Kiowa County. 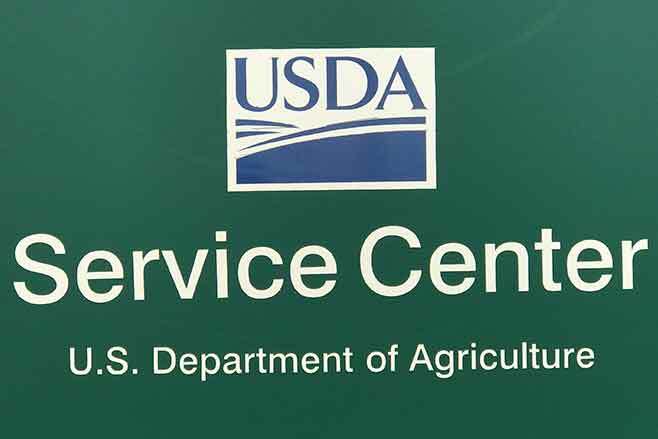 Producers needing Farm Loan information on loans or other information are urged to call the FSA Office in Lamar @ 719-336-3437 and schedule an appointment. When the monthly visits resume in Kiowa County, it will be noted in the UPDATE. The LDP rate for the past week has been zero. The Kansas City and Gulf market prices have been up - therefore the posted county price will reflect the rise in markets.